Contactlab and Exane BNP Paribas continue to analyze how Fashion&Luxury brands perform online. This time we shift our focus to China after having tested the US (2016) and Italian (2015) markets. One very clear example of the different culture ?…. in Europe/US the “Gift Option” is very relevant….on the contrary in China local players offer the “ Pay by someone else” option! 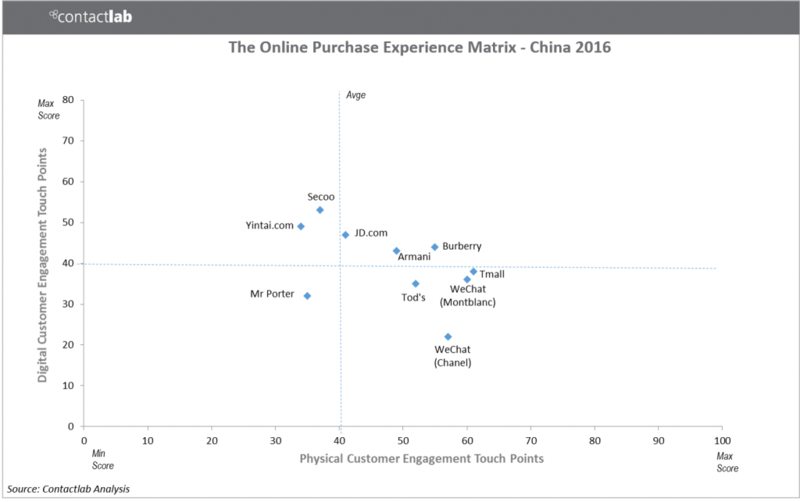 Chinese E-Tailers JD, Secoo online shopping experience is superior on Digital Touch Points, while European brands tested (Tod’s, Armani and Burberry) are superior on Physical Touch Points. 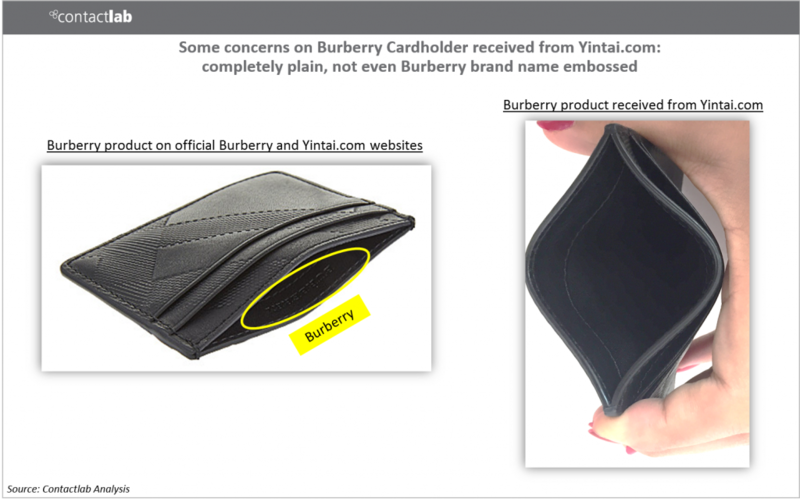 However, Burberry product purchased on Tmall offered a more curated packaging than via the direct Burberry online channel. Surprisingly MrPorter is trailing both on the Digital and Physical sides. 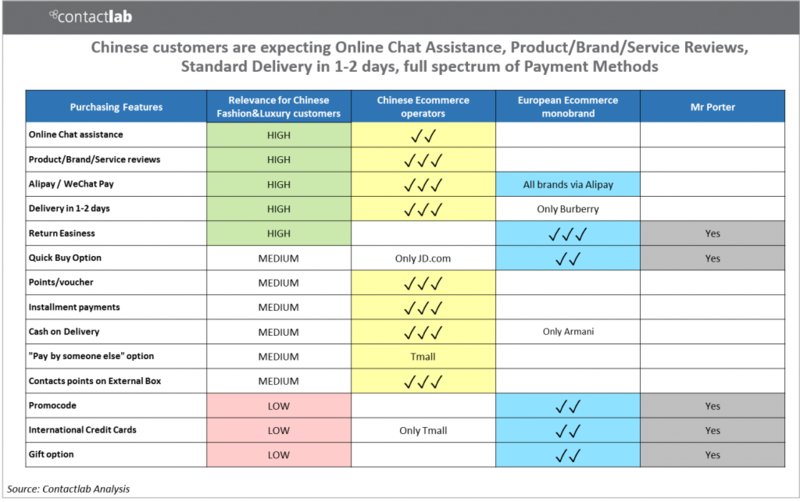 WeChat online shopping experience is still pretty basic: limited features on the Digital side, although the native integration with WeChat Pay is really convenient, while the Physical experience depends on the brand distributed: in our test Chanel and Montblanc packaging and documentation were very “luxury”. Chinese E-Tailers seem to give a lot of attention to the Authenticity and “Made in” topics….even if some doubts on what actually received remain. Strange attitude for MrPorter, completely neglecting the Authenticity and “Made in” topics. Overall Western players should pay more attention to the digital side of the online shopping experience because China represents ca. 16% of the global luxury market, and Chinese customers ca. 30 % once including foreign shopping.